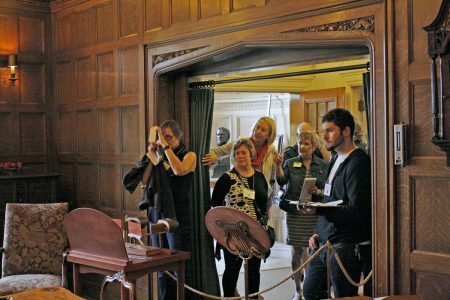 Visitors exploring Pittock Mansion’s 16,000 square feet. 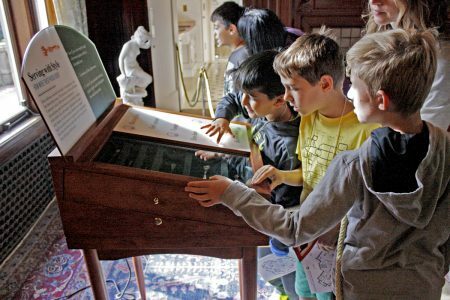 As many historic house museums across the country experience declining visitation, Portland’s Pittock Mansion has set a new record for annual visitors. Visitation has steadily grown from 81,000 in fiscal year 2013/2014 to 86,000 in fiscal year 2014/2015 to a new record of 103,000 visitors in fiscal year 2015/2016. Reaching over 100,000 annual visitors is an exciting milestone in the Pittock’s history, but how did we do it? This record attendance follows strategic additions and enhancements to the museum as a part of the Pittock’s Visitor Experience Project. Pittock staff and Board intentionally adopted a visitor-centric philosophy. Simply put, happy visitors return, support the museum, encourage others to visit, and in turn represent the most effective way to ensure the long-term sustainability of an institution. Pittock Mansion’s new admissions area alleviated congestion in the foyer and created a transition between purchasing tickets and experiencing the historic home. With this in mind, Pittock staff worked with a team of museum consultants who are on the leading edge of visitor experience planning to create Pittock Mansion’s plan. Then, based on visitor research and visitor surveys, the team identified specific ways to enhance the experience of visiting. These changes not only would further the museum’s mission, but also would use visitors’ needs and perspectives as a guide. 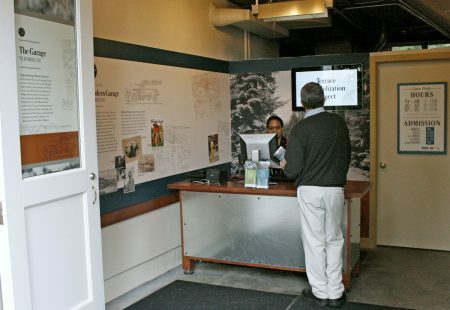 For example, visitors said they wanted more information and a facilitated self-guided tour, so the staff listened, and redeveloped the permanent exhibit to include 70 new exhibit panels and 4 interactive stations. These improvements make the self-guided experience more compelling, engaging and relevant, while sharing stories that embody the growth, culture, and spirit of Portland. A family enjoying Pittock Mansion. The Pittock’s record attendance comes as Board and staff initiate a new four-year strategic plan which will further enhance the visitor experience, expand educational programming, and increase community engagement. In addition, Pittock staff and Board will work with the City of Portland, which owns the historic estate, to improve access and create a sustainable long-term preservation plan for the buildings. With picture-perfect views of rivers, forests, bridges, and mountaintops — and 23 treasure-filled rooms — no other place in town offers a more breathtaking view and more revealing glimpse of Portland’s past. 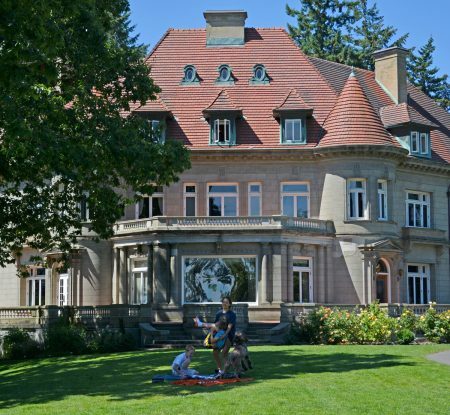 Portland pioneers Henry and Georgiana Pittock built Pittock Mansion in 1914 and it now stands as a living memorial of the family’s contributions to the blossoming city of Portland and its people. Situated on 46 acres of land almost 1,000 feet atop downtown Portland, the Pittock celebrated its centennial year in 2014. Children matching enjoying our hands-on serving utensil matching game. Can you find the butter pick or olive spoon?